There are so many star guests on The Bridge that Grandmaster Flash spends the entire first track listing them. Expect contributions from the likes of Snoop Dogg, Q-Tip, KRS One, Busta Rhymes and Big Daddy Kane being a few of the highlights. 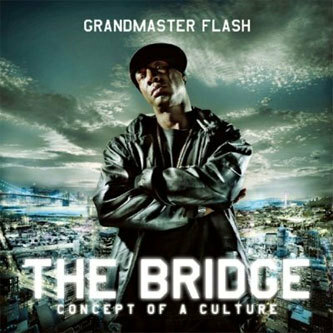 This album represents Flash's first batch of new material since 1988, representing an attempt to crossover (or "bridge", if you will) the various tributaries of hip hop culture. Obviously the beats aren't quite as fresh as primary school orange squash but respect to the man for getting his act together and using his name to pull some of the biggest names in HipHop for the ride. The production is credited to Flash as being behind a large proportion of the scratching, beat programming and keys, albeit with some help from DJ Demo and a crew of engineers on hand to make everything sound proper. Check.